New Delhi: Even as the labour strike at Maruti Suzuki India Ltd’s Manesar facility entered the 29th day on Monday, the car maker has hired at least 1,400 workers since 29 August in a sign that it may not soften its stand against striking workers. 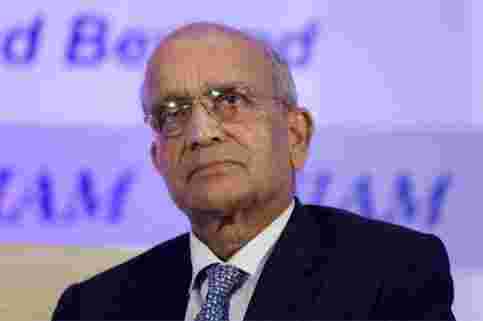 “The newly hired workers can work on any of the plants," Maruti Suzuki chairman R.C. Bhargava said in a phone interview. “Training of workers are such that they can fit in wherever we want them to work even at our new facility in Manesar, which is highly automated." The newly hired account for about 60% of the number of workers that have struck work at the car maker’s Manesar plant. “We had to hire people for the second facility in Manesar. So, these recruitments are somewhat on those lines," said a senior official at the plant on condition of anonymity. “Lesser demand has given us some elbow room, which allowed us to use these fresh recruits in a flexible manner." The company, which controls 50% of the Indian car market, said that it has been able to produce 700 units of the new Swift daily from its Gurgaon and Manesar plants combined. “The monthly volume of Swift at current rate of 700 units will touch 17,500 units a month, higher than Swift’s production levels three months back (around 12,000 units/month)," the company said in a statement. Mint on 16 September reported that the car has a waiting period of six-eight months and it has received more than 100,000 bookings. The company said it had started production of the Swift at its second facility in Manesar earlier than planned to limit the impact of the strike. “With its (plant’s) high automation levels, it is possible to achieve the same output with much less manpower at Manesar B plant," the company said. It also focused on training programmes for the new recruits to enable them to quickly become familiar with the company’s manufacturing processes and systems. “The training modules have been critical to bring them up to speed and rapidly deputing them on the regular shop floor operations," the company said. Maruti Suzuki has focused on single-model manufacturing as a crisis management strategy. “The idea was to streamline operations and address most critical requirement of the hour – production of sufficient volumes of Swift to meet large customer demand," the company said. The ongoing strike has posed serious challenges for the company ahead of the festive season as the Manesar facility produces some of the top-selling Maruti’s models such as Swift and SX4. Mint on 23 September reported that the company has also started trial runs for its sub-4-metre Dzire that is likely to be unveiled at the Delhi Auto Expo in January next year. While production issues may have forced customers to cancel bookings of the new Swift, it’s not a long-term concern for the company, said a consultant with a leading consulting firm who did not wish to be named. “One lakh bookings for a single car is phenomenal. So, one thing is certain that it is eating into somebody’s market share. It is extraordinarily high," he said. “There will be some attrition. But still they should be able to sell any where between 80,000-85,000 cars. Once production returns to normal, so will customers." Production at the Manesar factory of Maruti was hit last month after the company said it would only allow workers who had signed the good-conduct bond to work, citing indiscipline and sabotage by employees over the previous two months. The issues that the Manesar labour union wants addressed include a growing number of temporary workers, improper working conditions, wages and leaves.